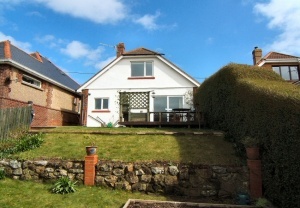 An attractive chalet bungalow style property, built in the 1930s and situated in the popular village of Wroxall. 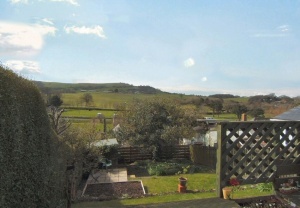 The views from this property are outstanding and the aspect west facing. The property has some character features and something of a cottagey feel. 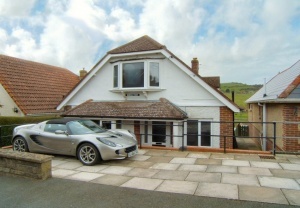 Both bedrooms are good double sized rooms, the master having superb views across the landscape. 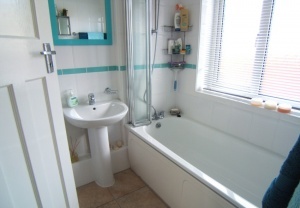 The current owners have done extensive works to the property to refurbish it just 5 or 6 years ago and everything is presented in excellent condition. 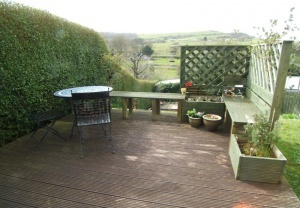 To the back is a raised deck which makes the most of the stunning views beyond and to the front an area of hard-standing provides parking. The property is available chain free. 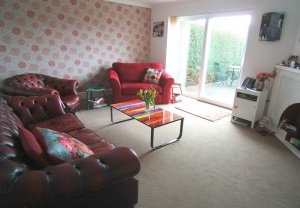 ENTRANCE HALL: 10� x 9�br />A spacious entrance hall with attractive stairs to first floor and doors to all ground floor rooms. 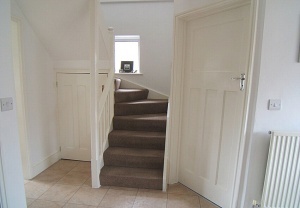 Radiator and under-stairs cupboard. 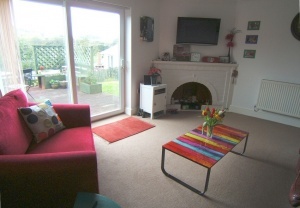 LIVING ROOM: 14�x 12�br />With sliding patio doors to West facing deck and garden. Feature fireplace with white painted surround, radiator. 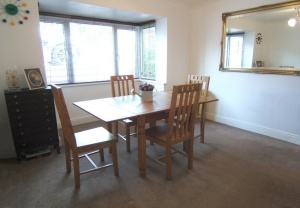 DINING ROOM: 12�x 11�br />Large bay window to front. Radiator. Built-in shelves. 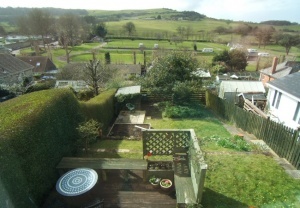 Window to rear with superb views of the downs. Half frosted glazed back door to side and rear garden. 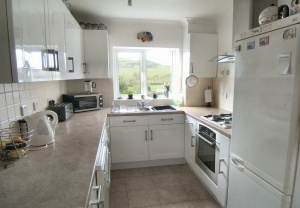 A fitted white gloss kitchen with a range of wall and base units, roll-top work surfaces and tiled splash-backs. Integrated gas hob and electric cooker with extractor hood above. One and half bowl stainless steel sink and drainer with mixer tap, space and plumbing for washing machine and for dishwasher, space and power for fridge-freezer. Fully tiled with frosted window to front. A white bathroom suite: panel bath with mixer tap, shower attachment and folding glass shower screen, pedestal wash hand basin with mixer tap and low level w.c. Wall mounted ladder style heated towel rail. 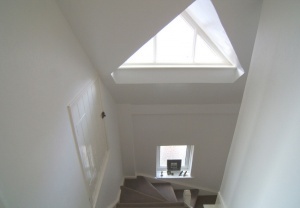 Attractive triangular window to side and further small window below. 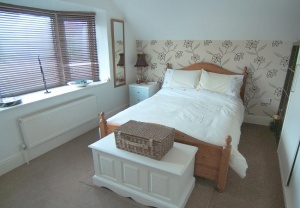 BEDROOM ONE: 12�x 12�br />A double room with fantastic views across the landscape of the downs. 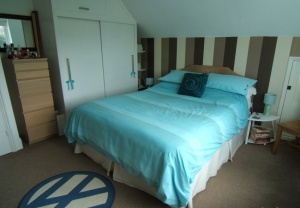 Plenty of storage with built-in wardrobes as well as under-eaves cupboards and loft access. Large bay window to front. Plenty of storage with built-in cupboards with sliding doors as well as under eaves storage cupboard. The thing that makes this property so desirable is not just the beautifully presented interior, well laid out space, west facing garden and parking, but it is the stunning backdrop of the extensive landscape views which bring another dimension to the house. 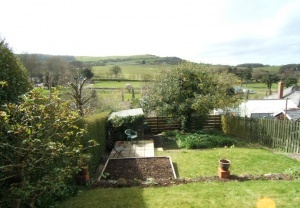 It is aptly named 慏owns View� and this superb outlook makes this property really stand out.